The Gillmor Charitable Foundation contributions can be found in many different venues. The following is a sample of contributions made throughout the years. 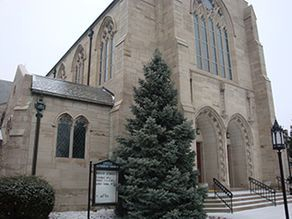 Constructed in 1988, Paul and Lucy Gillmor were pleased to play a part in Tiffin University's growth by contributing to the student center. The Gillmor Student Center was named after it’s benefactors and is located in the center of the campus. The center currently houses the Cole Dining Hall, the Tiffin University Bookstore, the campus gym, The Old Fort Banking Company Basketball Court and the Osceola Theatre, as well as the student center. Lucy Gillmor attended Tiffin University in 1930. The Tiffin business community, fans, and other contributors organized to raise two million dollars to renovate the Tiffin Columbian Stadium. The Gillmor Foundation was pleased to contribute to this project. Improvements included replacing the field turf, repairs to the press box and stadium stands, a new track, soccer field, and a new scoreboard. 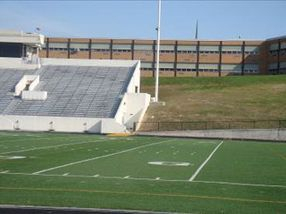 The stadium was constructed in 1939, and is home to all of the local Tiffin teams including: Tiffin Columbian, Tiffin Calvert, Heidelberg College and Tiffin University. An opportunity to support an important resource in our area, the Sandusky River, was well received by the Foundation. 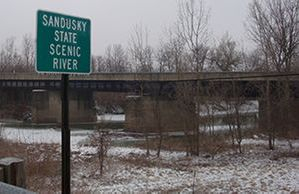 The Sandusky River has an abundant water supply, spectacular fisheries, wildlife and scenic waterways. The contributions over the years have assisted many vital programs. One such program was in support of the Bald Eagle. A symbol of our national heritage, the Bald Eagles can be observed along this waterway in majestic flight and their distinct cries can be heard along the way. Contributions made to this fund have made a difference in the lives of families within the WSOS community. WSOS offers programs to help families improve energy efficiencies in their homes, employment training, meals and transportation, and assistance with utility deposits and connections, just to name a few. 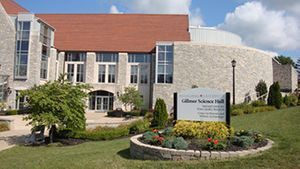 On April 16, 2005 the Gillmor Science Hall was dedicated. The building was named after Congressman Paul E. Gillmor. people of this community in the Statehouse and on Capital Hill for 38 years. PM's values are Paul's values, with family, community, and service to country ingrained in his body, mind and spirit." The PM Gillmor Gardens, located at Heidelberg University, were dedicated on June 24, 2006. The gardens and brick memory walkway is located between the Gillmor Science Hall and the Student Center. The garden pays tribute to PM’s strong work ethic and humanitarian works. 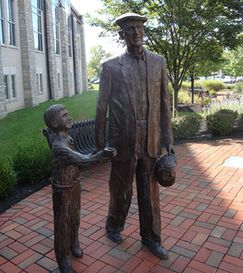 The sculpture depicts PM with his grandson, Paul Michael. PM’s Lion's Club Pin is displayed on his lapel, representing his lifelong dedication to this organization as well as his commitment to Heidelberg and our surrounding communities. The Gillmor Foundation contributed to a new physical health center which opened to the public in October, 2007. 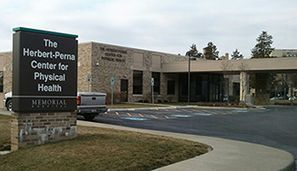 Located on the main campus of the Memorial Health Care System in Fremont, OH, the $6.3 million, state-of-the-art center provides exceptional physical and occupational health services. The Gillmor Foundation was pleased to contribute to the Mercy Tiffin Hospital campaign. As the only hospital in Seneca County the hospital provides excellent health care services to its patients and families. The American Civil War Museum of Ohio opened its door for business January 29, 2011, in downtown Tiffin. The museum was first started in a small home in Bowling Green. 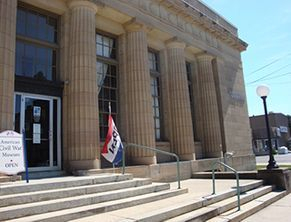 Through much work and generous donations the museum is now housed in an impressive 1915 cornerstone building which has been compared to the design of the Lincoln Memorial and was the former post office building in Tiffin. The museum offers eight exhibit rooms which follow the Civil War and Ohio’s role in the war. To learn more please visit the museum's website at http://www.acwmo.org/ for a complete listing of hours and events. 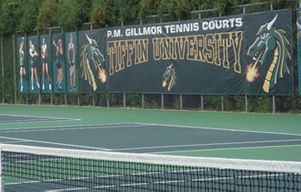 An active tennis enthusiast throughout his lifetime, PM Gillmor was commemorated with the dedication of the tennis court in his name. Charitable Foundation in support of Share The Pride, Build on Tradition, a campaign to benefit Tiffin University. 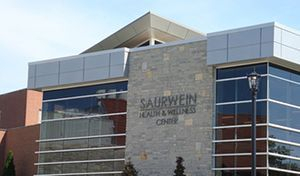 The Saurwein Health & Wellness Center opened in August 2012. This building facilitates a new academic program in Health Sciences and will also provide cardio/weight training along with small group fitness programs through the YMCA. The center will not only benefit Heidelberg students, staff, and faculty, but will be open to the Tiffin community through their partnership with the Tiffin Community YMCA. For many years the Gillmor Foundation has supported this special holiday event in Fremont, Ohio. Audiences enjoy time-honored holiday favorites, which help to fund the Toledo Symphony concerts throughout their season. 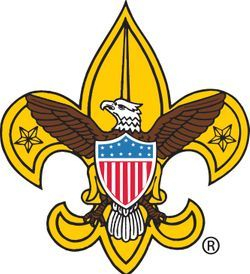 The Gillmor Foundation continues to support area Boy Scout programs. The Buckeye District serves scouts, leaders and students in both Tiffin and Seneca County. personality styles, team building, problem solving, ethical decision-making and communications. The students are encouraged to take what they have learned back to their schools, churches, sports teams and clubs.